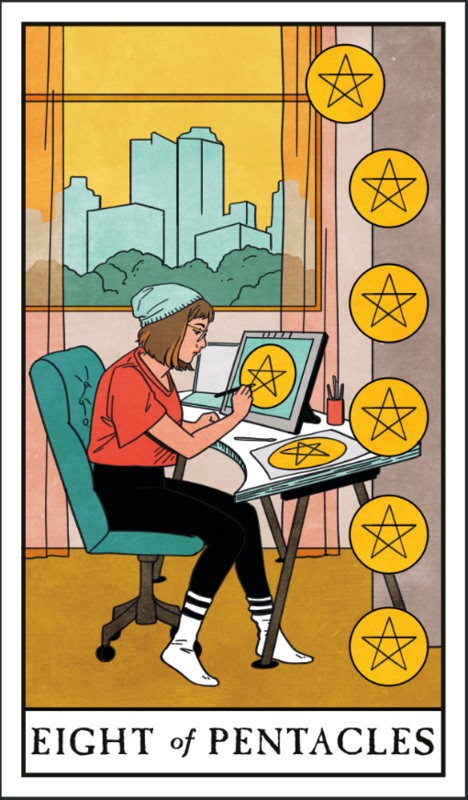 Modern Witch Tarot pre-orders will open in (late) April on the Liminal 11 website. Sign up to our mailing list to be alerted in advance as soon as we announce the date! This will include a standard edition (currently available for pre-order via the book trade and other online retailers) and a special limited edition. The standard edition will be £21.99 GBP / $26.95 USD (recommended retail price). The special limited edition, of which there will be 1,111 copies, will ONLY ever be available directly from Liminal 11’s website. Price and details coming soon! Orders from the Liminal 11 website are sent by post from the UK, and we charge shipping in line with post office costs. If you do not order in GBP, the price conversion might vary depending on your bank and the exchange rate on the date of purchase. We have book trade distribution in several countries, including the United States and Canada.. 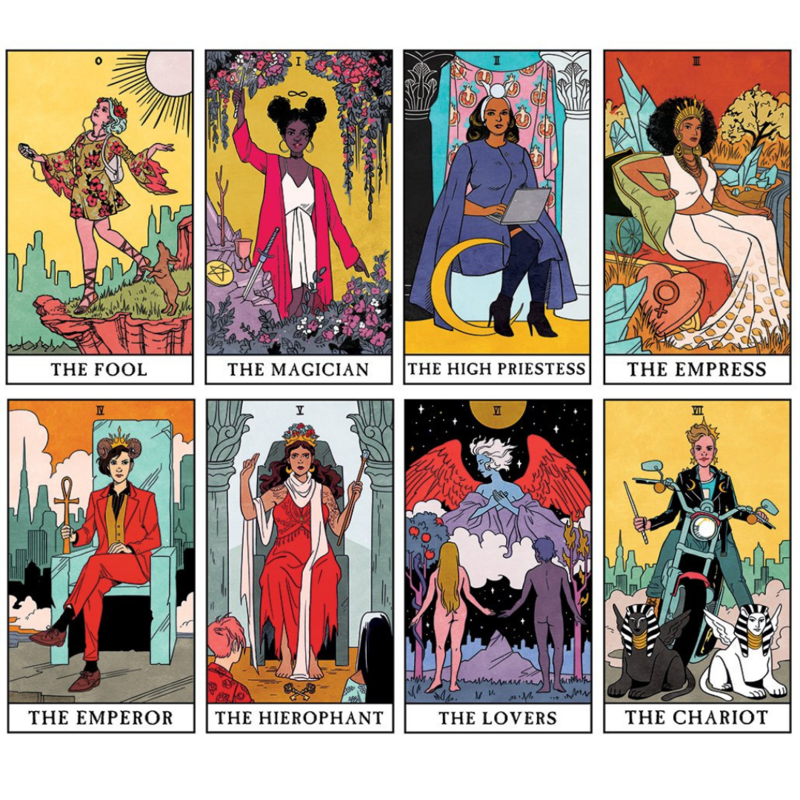 This means you can find Modern Witch Tarot from your favourite bookshop or online retailer. Try searching with the ISBN: 978-1-912634-03-3. If you are a stockist and would like to discuss wholesale terms, please view our How to Order details and get in touch with our sales director or one of our distributors. We know LOTS of people are very eager to pre-order our special edition deck, and we promise we will be announcing the date our website pre-orders open in advance of them actually opening. The best thing to do is to SIGN UP TO OUR NEWSLETTER (and whitelist emails from liminal11.com), and follow our Instagram, twitter and Facebook. Lisa’s twitterand Instagram are the best places to keep up with the card designs as she unveils them. Thank you so much for your patience as we prepare to open up pre-orders. We are so thrilled to be publishing this amazing deck, and we want to make the special edition truly very special indeed. This means a little extra time spent designing and sourcing the various extras we’re including, and of course some added admin time – not to mention the hard work Lisa Sterle is putting into creating this wonderful deck! As we finalise everything, we will be able to release the full details, including costs. This should happen sometime in April – and we will aim to announce the pre-order date at least a week in advance. What is different about the limited edition deck that the standard deck doesn’t have? Or when should I come back to check about limited edition details? Hi Indasia, the Limited Edition deck will include the standard deck, along with very special packaging and several extras designed by Lisa Sterle. If you sign up to our newsletter (linked in the post), we’ll announce in advance when pre-orders are going to open, and we’ll announce again the moment they are live. This will be in April, likely in the latter half of the month. I hope that helps! We are working hard to finalise everything with the creator, printers and shippers so that we can put this item up for pre-order!